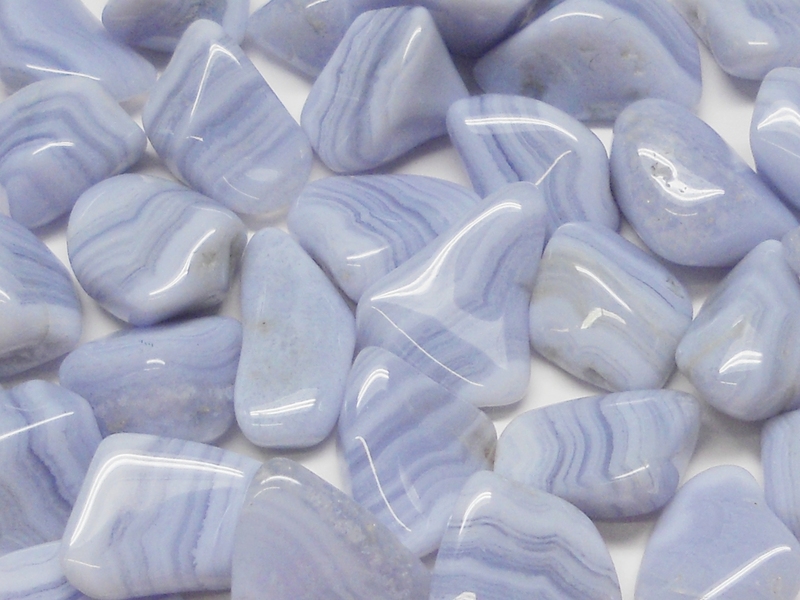 Blue Lace Agate is a great crystal for dogs. Attaching a Blue Lace Agate tumbled stone to the dog's collar, near the Throat chakra, seems to reduce the urge to bark every time they see something going on outside. As an added bonus, it also calms hyperactivity.